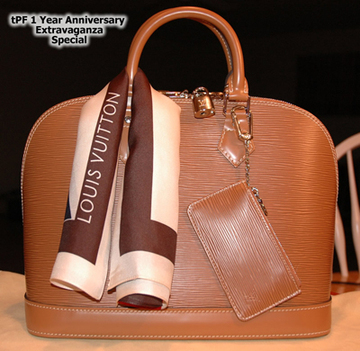 To celebrate the 1 year anniversary of their Purse Forum, - the web's #1 community for handbag lovers and shoulder fashion fetishists (over 1 million visitors a month, thankyou!) - they are giving away the bag as a grand prize, and a scarf and keychain as consolation prizes. However, in the unlikely event someone guesses the exact number of M&Ms - it's winner take all! Try your luck at The Purse Blog. 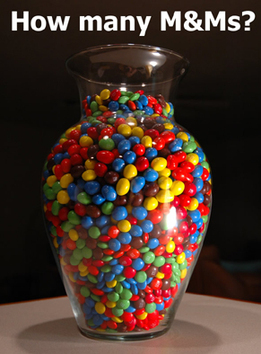 i think there is 770 m&m's! There are 4815162342 M & M's!